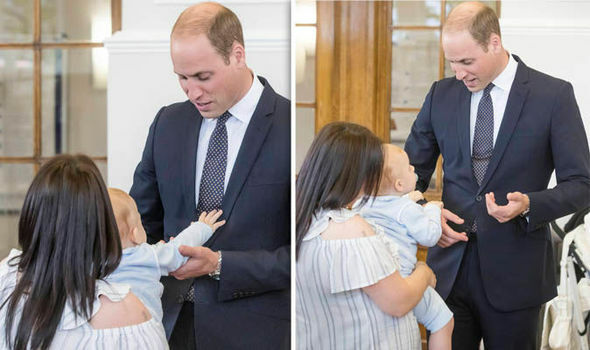 THE Duke of Cambridge nearly found himself taking home an extra child today when a toddler grabbed hold of him and refused to let go. 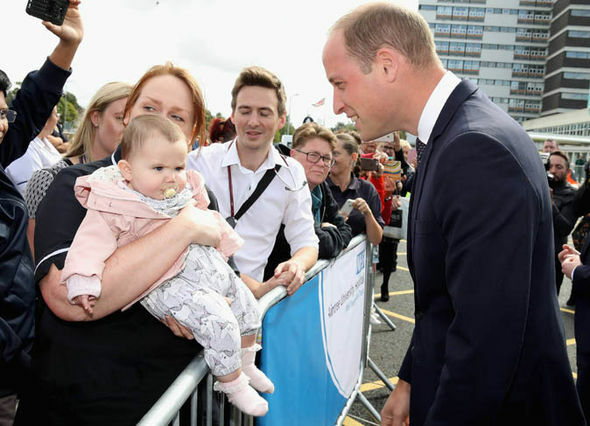 One-year-old Archie Stead, who had just started walking, clung on for dear life as William struggled to extricate himself during a visit to a community hub in Liverpool. “Archie wanted to go with him. 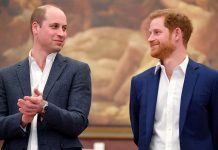 He wouldn’t let go,” the little boy’s grandmother Rachel Stead, 44, from Anfield, Liverpool, said after William’s visit to The Life Rooms in the suburb of Walton. The 15-month-old centre, housed in an old library and run by Mersey Care NHS Foundation Trust, is home to community groups such as a mums and toddlers group attended by Archie. It also provides numerous courses and advice sessions through a “recovery college” to help people recovering from mental health problems and associated issues such as job loss, debt, and addiction. William, 35, toured the building, chatting to people taking part in a confidence-building training course and meeting service users, including a self-help group called WAGS – Women’s Addiction Group Support. 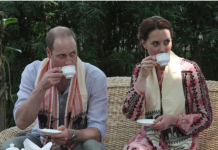 His wife Kate, who remains ill with an acute form of morning sickness, had been due to join him. 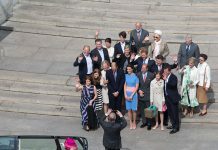 Standing in for the Duchess, who has championed efforts to combat all forms of addiction, William spoke to four women all overcoming alcoholism. Mother of one Jayne Barton, 50, said he had shown clear understanding of the problems and had proved remarkably easy to talk to. “Two years ago if you had said to me ‘you’ll be in The Life Rooms meeting Prince William, I wouldn’t have believed you,” she said. She described how she used to binge drink. William replied that he got confidence from being able to help others. “If you can make other people smile, that gives you confidence,” he said. Mersey Care, which had seen 16,000 people helped by the centre so far, believes it may be more cost-effective to channel many of them towards its advice sessions instead of GPs and clinical services.